The Business Blueprint is the Blueprint To Financial Success. This method states that it isn’t something that’s going to make you thousands overnight with no work at all. 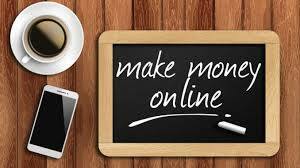 It claims to be a more realistic method to making a reasonable amount of money online. The Business Blueprint requires some work, but the results are said to be big. To get started, you’ll need a domain and hosting. Get your .com at $5.88 from NameCheap. NameCheap also has a deal for 50% off shared hosting.